Christchurch, March 18: A court here on Monday refused to grant bail to an 18-year-old teenager accused of sharing a video of the March 15 Christchurch mosques shootings in which the gunman livestreamed his massacre of 50 people. 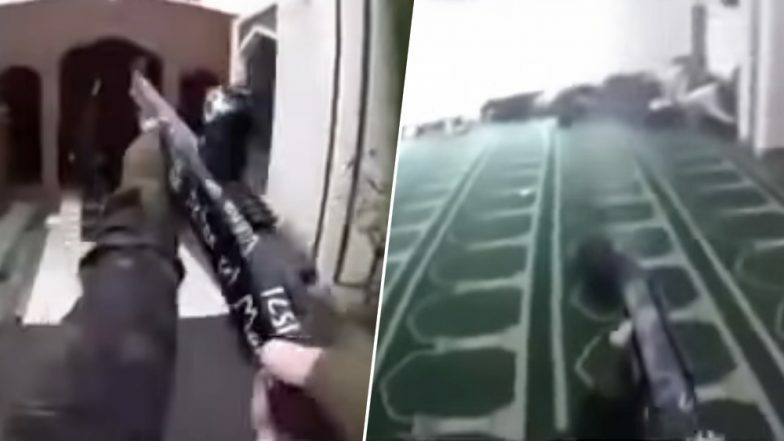 The teen faces two charges: one of sharing the video and a second for posting a photograph of one of the mosque's attacked with the message "target acquired" along with other chat messages "inciting extreme violence", The New Zealand Herald reported. Christchurch Attacks: Alleged Gunman Brenton Tarrant Fires Lawyer, Says will Represent Himself in Court. The teenager appeared at the Christchurch District Court today and was granted name suppression. However his request for bail was refused by Judge Stephen O'Driscoll. The police has said that the teen was not involved in the shootings at the Al Noor Mosque and the Linwood Avenue Masjid that also left 40 others injured. He is due back in court next month. The teen was initially charged with publishing insulting material with intent to excite hostility or ill will against a group of persons on the basis of race, ethnicity, or national origins. That charge was withdrawn on Monday and replaced by the two new charges. The maximum sentence for each of the charges is 14 years in prison.